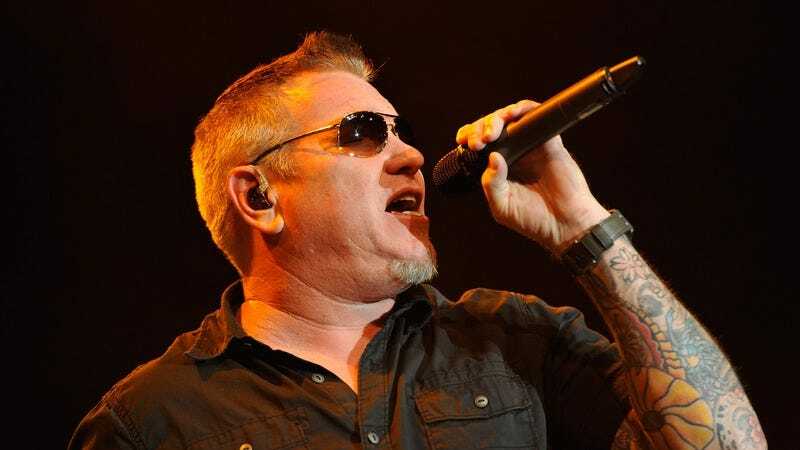 Although Smash Mouth singer Steve Harwell may share superficial characteristics with a pigeon—namely experience being shooed away by annoyed urbanites—unlike his avian counterparts, he doesn’t appreciate having bread thrown at him. Harwell expressed his irritation with the leavened foodstuff at a concert in Fort Collins, Colorado over the weekend, where festivalgoers at the Taste Of Fort Collins apparently started throwing slices of bread at the stage during Smash Mouth’s set. This was not a Rocky Horror reference, but a reference to the fact that one of the booths at the festival was giving away free loaves of bread, probably figuring that it couldn’t hurt anyone.